Considering their importance, we’ll work to decode these terms, and help you and your student understand the foundations of financial aid. One of the first steps in determining financial aid is having your student fill out the FAFSA (Free Application for Federal Student Aid). Almost all schools require the FAFSA to determine eligibility for federal student aid programs. Completing the FAFSA will require input from you as a parent, too – like information from your income tax returns, for example. After filling out the FAFSA, the data you enter is then calculated to determine how much you can afford to put toward your kid’s education – an amount called the Expected Family Contribution (EFC). Based on the EFC, schools determine how much financial aid your student would receive if he or she attended that school, and how much you, as a parent, are expected to front. Many financial aid packages end up with a combination of awards, including federal grants and scholarships, work-study and loans. Both grants and scholarships provide your student money that doesn’t have to be repaid. Grants are typically need-based, and scholarships can be either need-based, merit-based or both. An earlier post on our blog talks about the importance of scholarships covering unmet need, and tools like the Scholarship America Dollars for Scholars Student Center provide resources for parents and students when searching for ways to pay for college. Encouraging your student to research and apply for scholarships can lead to one of the most valuable sources of financial aid! The FWS Program allows students to work part-time at participating institutions to help pay for education expenses. FWS eligibility is determined by need, as reported on the FAFSA, and includes an allotted amount of hours your student can work. While most FWS jobs are on-campus, such as working in the library, your student’s school may include off-campus positions like tutoring children at a nonprofit organization. Specific job listings are available at schools’ financial aid offices. For costs left uncovered by awards or other income sources, loans may also be a part of financial aid. As opposed to grants or scholarships, loans are borrowed funds that must be repaid — with interest. Additionally, the Perkins Loan is given for exceptional financial need. Private loans are distributed directly by lending institutions, such as banks. Be aware that private lenders typically charge a higher interest rate that could prove even more expensive after graduation. Based on data from the FAFSA, as well as grant and scholarship awards, your student will receive a financial aid letter detailing Cost of Attendance (COA), an estimate of how much it will cost to attend a college or university. Federal Student Aid includes handy checklists for parents assisting their children with college preparation, as well as how to fill out the FAFSA. FinAid’s name speaks for itself: the website is frequently referred to for financial aid information, advice and tools. The Scholarship America website includes an entire section of financial aid links for parents and students. The Project on Student Debt’s Aligning the Means and the Ends says it well: “there is no perfect system for determining just how much someone can or should pay for college, or how much aid they should receive.” However, being informed about and planning for financial aid can curtail many last-minute expenses. 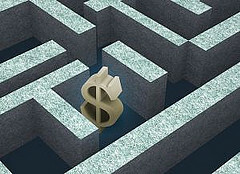 For parents and students alike, it can assure a successful pathway through the financial aid maze.